When you’re at the grocery store or shopping online, what catches your eye? What brands and visuals tend to stand out (I’m looking at you, Pop-Tarts)? What colors do you notice first? Even if you don’t consider yourself to be naturally creative or artistic, you undoubtedly understand what grabs your attention. What brand parameters, if any, are currently in place? If the project requires that you work within a branding or style guide, this is your starting point. You’ll want to begin by using any predefined colors and build from there. For example, if you are working with a client and they have an existing logo and color palette, start with those and find complementary colors with the goal being to create continuity between the brand and your work. Note: If the company or brand you’re working with already has a style guide, they probably also have competitors. It’s a good idea to avoid color schemes that appear in a competitor’s visual presence, so do your research and know the market. What is the overall message and tone of the piece? Whether you’re working with a client or on your own, this is a good time to make some notes. Think of some words that describe the message you want to communicate and jot them down. Note: If you’re working with an existing brand, you’ll want to use words that describe the message they want to communicate. It’s important to remove your personal tastes as a designer from the equation. Think about how color affects your mood. What colors do you attribute to certain emotions? For example, when you think of the color blue, what comes to mind? You will likely attach a different emotion depending on the hue, tint, tone, or shade of blue. A deep blue may communicate somberness, while a light blue might create feelings of peace and trust. It’s important to understand how different colors are perceived from an emotional standpoint. The last thing you want to do is create a design intended to be fun or inviting and accidentally use colors that evoke anxiety or sadness. How does color context impact the design? Color context refers to how we perceive colors and the way in which they interact with another. How we perceive a color is dependent upon the context in which we see it, so think about the design in terms of contrast, juxtaposition, and environment. If you’re designing a billboard meant to grab the attention of passers-by, you wouldn’t want to choose a low contrast combination such as navy and black. Conversely, if you’re designing a financial report, you wouldn’t choose to add a border of red and orange flames (I mean, maybe you would but I wouldn’t advise it). Understanding how the design is meant to be viewed is a critical part of choosing an appropriate color scheme. Analogous color schemes are created by pairing one color with the two colors directly next to it on the color wheel. This combination often produces a more muted color palette, so it would not be a good choice if you’re looking to develop a high contrast design. Monochromatic color schemes are exactly that: monochromatic. This combination is created using tints and shades of one hue. As with analogous color schemes, these lack contrast and are not ideal for grabbing a viewer’s attention, but they often produce a clean, minimalistic, and polished palette. Triadic color schemes are created by combining three colors that are equally spaced around the color wheel. This scheme offers high contrast, but it can seem overwhelming if all of the colors are the same tone. Try to choose one dominant color and vary the other two colors in tint. Complementary color schemes are created by pairing two colors directly across from each other on the color wheel. This combination also offers high contrast, so like the triadic color option, it’s good to vary the secondary color in tint. Split complementary color schemes are comprised of one dominant color and two colors directly adjacent to the dominant color’s complement. This option provides high contrast and high interest, but varying the tint of each color will likely create a more visually appealing palette. 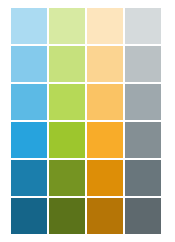 Adobe Color (previously Adobe Kuler) is a free online tool that allows you to create and adjust color schemes. It also features hundreds of pre-made color schemes to help you quickly find an option to suit your needs. Illustrator Color Guide (found in Adobe Illustrator) is likely to be the go-to for any semi-experienced designer. It’s a great tool because it allows you to choose one color, and it will automatically generate a five-color palette for you. Similar to Adobe Color, it also provides a number of preset palettes to help you get started. Note: I often pull photos into Illustrator and use them as a starting point. Simply place an image in the application, then select the Eyedropper Tool to choose an initial color. Color Guide will provide several preset options with a scale of tints and shades. Preset Color Guides is a great option for Microsoft users. All of the Office products come with preset color schemes, and you can manipulate them to find the right combination for your design. We would like to thank Whitney Lane for this post, Click Here to check out her website! It’s impossible to position your product or service to meet customers’ needs without knowing who they are. Intelligent marketers and business strategists know the key to high conversion — regardless of the type of media — is a set of clearly-defined customer (or buyer/marketing) personas. Do you have an accurate idea of your ideal customer? Do you deeply understand their pain points, aspirations, daily routines, and definitions of success? Does this information drive every facet of your marketing, sales, product, and service strategies? If you answered yes to all three questions, you can go ahead and skip this article. You’re good to go. If you answered no to at least one, please proceed. You’re in the right place. So, first of all, what is a buyer persona? A buyer persona is a fictional representation of your company’s ideal customer. Personas provide a crystal clear picture of key individuals who possess the power to influence or execute buying decisions. Your organization’s product or service offering may warrant more than one persona. You may also have personas that influence various stages of the buyer’s journey. 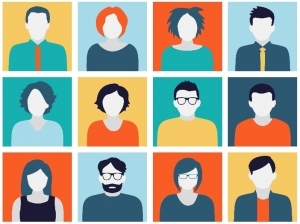 Regardless of the quantity or level of influence, it’s important that these avatars are founded on extensive research and represent real-life customers. Why is it important to map your strategy to a set of buyer personas? Buyer personas provide direction for every customer-focused facet of an organization (and just in case you were wondering, every facet of an organization should be customer-focused. If it doesn’t support or benefit the customer, it’s a waste.) Considering your customer prior to developing content ensures that the end result is valuable to your target audience. Considering your customer prior to developing a new product ensures that the end result is desirable to your market. Considering your customer prior to launching a new internal program ensures that the end result promotes beneficial employee behaviors that drive results for your stakeholders. Do you see the trend? Personas drive value at every level and create efficiency within your strategy. I get it. They’re important. Now, how do I create one? Meeting with your sales team regularly to determine what leads they find more valuable. Now that you’ve compiled a mountain of relevant and insightful information about the key individuals most interested in your products and/or services, it’s time to whittle it into something a bit more manageable. Start by identifying patterns and commonalities in the research to create one core persona. From there, you can begin building a set to accommodate your unique offering. There are many tools and templates available on the web to assist you with this. Alternatively, if you’re pressed for time and looking for a comprehensive, customizable, and efficient solution, there are experts to assist you with persona development (Feel free to contact me for additional information). Use this information to guide your persona development and strengthen your market strategy. Shoot me an email for more information on persona development or questions about how to get started. You can get stuff done more quickly. The very nature of agile marketing allows development to be broken into small, incremental efforts that decrease the amount of upfront planning needed. Sometimes referred to as sprints or a process called scrum, these iterations can last between one and four weeks. During this time, cross-functional teams work on all phases of the project and collaborate to quickly react to changing marketing conditions. Note: It’s not that you don’t need to plan; you simply don’t need to plan more than a quarter in advance. Action: To incorporate this benefit into your marketing efforts, write a one-page plan that specifies your goals and aspirations for the next month. If and when possible, create a plan for each month within the quarter that specifies exactly what you’ll be doing during that time and how it can be tied back to both departmental and organizational strategies. It’s okay to take risks. Many organizations declare their love of risk-taking, while simultaneously punishing those that attempt to reach outside of the box. This can make traditional marketing efforts a bit terrifying. Typically, you spend a lot of time and money developing a campaign that’s intended to run for three to six months (or longer), and then you get to the end and declare victory or defeat. 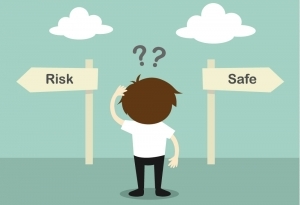 Within those organizations adverse to taking risks, this often leads to drastic changes in direction with little evidence to support the new approach. Unlike traditional marketing plans, agile marketing takes an iterative approach which begins with smaller strategic goals that can quickly be tested, measured, and documented for future use. This method ensures that the team can take risks on a much smaller scale, while still learning and adapting along the way. Action: Take a look at your one-page plan and determine how efforts will be tested and measured. Define this process and ensure that the team understands what will be considered successful. Within most organizations exists some level of hierarchy, and this often creates silos of information that are never connected to other areas of the business. Maybe marketing isn’t privy to certain executive-level decisions, or the sales team doesn’t communicate their goals to other areas of the business. Regardless of the circumstances, this approach can create barriers to progress. Agile marketing is built on collaboration, face-to-face communication, and cross-functional teaming. This ensures that all relevant participants are talking to one another on a frequent basis, and the result is the creation of shared goals and the reviewing of outcomes as a collective effort. An additional benefit of cross-functional teaming is that members often report feeling empowered by the level of autonomy granted. Action: Ensure that team members understand the importance of working towards a common goal. Assign specific tasks to the group and allow members to take on responsibility as it relates to their expertise, but emphasize the importance of reaching consensus across the group concerning any critical decisions. 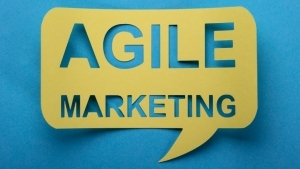 The benefits of agile marketing are obvious, but it doesn’t have to stop there. Implementing flexibility into other areas of the business can be as valuable. This method can be applied to virtually any department as long as the desired outcome is clearly and reiteratively communicated. As the embodiment of almost everything your organization is and does, your brand is a vital part of your identity. As mentioned in the first part of this series, a brand is more than just a logo. It differentiates you from your competition. It influences your customer, and it provides a level of trust and relevance. What secondary and tertiary audiences should be considered (e.g. potential employees, partnerships, other brands)? Who is the competition? What elements of their branding stands out to you? For existing brands, what is the current state? How can the brand be shaped to align with current and future organizational objectives? What is the mission, vision, and promise of the organization? And how do each of these align with customer needs? Are the values identified by customers different from those identified by employees? What about between the workforce and executives? How are they different, and what does this indicate? How can you effectively employ divergent and convergent thinking to develop a creative and unique visual identity? Finally, it’s time to begin considering the visual impact of all our hard work and research. This step requires an iterative approach and an open mind. Begin by thinking about the elements that will need visual development — logo, color palette, and typography. Lastly, the initial stages of logo development should be constructed using only black and white. This ensures that the design will work in multiple formats, sizes, and contexts. process in a previous article. A good color palette is clean and flexible. Additionally, it is absolutely essential thatyou develop a color palette which plays well with both offset and digital printing. Specifically, any logo consisting of more than four colors will likely increase printing costs for the client. Every stage presents its own unique challenges, but typography can be difficult for even the most advanced designer. This is because stylistic choices in type can subconsciously communicate with a customer before they even read the actual words. Serif and sans-serif typefaces often evoke specific feelings. Additionally, certain typefaces may be trendy at the moment but can eventually date your brand (Looking at you, Wisdom Script). It is often beneficial to limit font families to just a few — ideally, two or three at the most. This includes a primary typeface, a secondary typeface for specific scenarios, and a body copy typeface (one that works well in print and on the web). The only thing more tragic than a poorly designed brand is a beautifully designed brand that’s never used correctly. A brand style guide will ensure that your newly hatched logo baby is used correctly. In this stage, it is important to include clear, easy-to-follow guidelines for every part of the brand identity to ensure the highest degree of consistency. Trust me, your customers will notice. Brand integrity is built in the details. Lastly, it is important to continually revise your style guide as the brand evolves. These will likely be subtle additions that enhance the vision — not significant shifts in direction. This concludes the three-part series on branding. I hope it provided some valuable information and insight into the process and evolution of brand development. If you’d like to learn more, or if you’d like a fresh look, I’d love to connect. intent, and process of branding. Think about bottled water. How do you decide to choose one brand over another? Of course, the price is a factor, but the choice is also influenced by how the brand makes us feel — whether about ourselves or the impression we want to give to others. Taking the time to develop a solid brand strategy can provide a foundation for both factual and emotive elements. Here are five reasons why brand strategy is so critical. Effective branding can promote recognition for your business. If the elements described in part one of this series (position, promise, differentiators, persona, and story) are consistent and distinguishable, customers will come to feel confident about doing business with you. It is human nature to adhere to the familiar, so establishing a visible and reliable presence will only encourage repeat business. 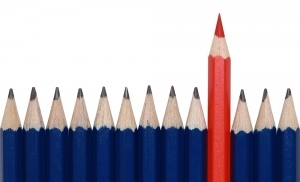 Standing out from the crowd is vital in this fast-paced, highly-competitive global market. Establishing a strong brand focused on your organization’s differentiation strategy will ensure that customers take notice. Think about the brands that attract your attention. What is it about those companies that stand apart from the competition? At first, you may think of their brand story or brand promise, and while these are definitely important, it is ultimately how you communicate your differentiators that determines your position among the competition. Creating an effective and consistent brand will ensure that customers know exactly what to expect during every experience. Aside from establishing credibility and trust, a strong brand also promotes a professional and authentic presence. Think of your brand as a representation of your promise to your customers. What do they hope to gain from doing business with you, and how can you strengthen that experience? Most people think of physical assets when they think of value. However, consider some of the most successful global brands — Coca-Cola, Nike, Apple. What are these companies doing to add value for the customer? They likely aren’t giving customers more for their money. These brands rarely, if ever, incorporate pricing into their differentiation strategy. Yet, customers are often willing to pay the premium. That’s because the brand adds value and carries additional worth beyond the combination of materials and labor. Brand strategy prevents ad hoc marketing efforts that can result in unclear messaging and the perception of an unreliable organization. As previously mentioned, customers trust brands they recognize. Because purchasing is more of an emotional decision than a practical one, building trust is critical to helping customers to know you on a personal level. If you meet someone dressed in a business suit one day and a denim tuxedo the next day, it will be difficult for you to nail down exactly who they are and what they stand for. It’s the same for a brand. Keep this in mind as you develop future campaigns to ensure you’re developing a brand that people recognize and trust. If you found this information useful, consider subscribing below to receive weekly updates regarding new content. Next week, we’ll cover actionable steps to create and/or elevate your own brand. https://solutions.marketing/wp-content/uploads/2018/10/TSG-Web-Header3-01.png 0 0 Whitney Lane https://solutions.marketing/wp-content/uploads/2018/10/TSG-Web-Header3-01.png Whitney Lane2018-06-19 12:10:572018-07-30 09:50:43Why is Brand Strategy So Important? In definition, a brand is a name, symbol, or design that identifies and differentiates a product, service, or organization from its competition. 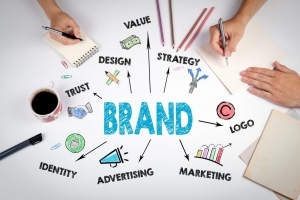 The act of branding is defined as the marketing strategies and practices employed to define, differentiate, and express your unique value proposition. Most people define a brand or branding as simply the visual formation of the logo, colors, typography, iconography, and other perceivable elements. However, these elements are only the final components of brand development. Prior to creating any visual representation of your organization, there five elements that must be established in order to define its purpose and story. The brand position is a statement that defines the core components of your brand strategy. (No big deal, right? It’s ONLY the most important and most difficult piece of the puzzle.) It is an essential element of any strong brand because it defines what you do, who you serve, and how you differentiate your organization from the competition. Once these elements are defined, it becomes easier to develop a brand tagline that speaks to a targeted audience in a unique and authentic way. 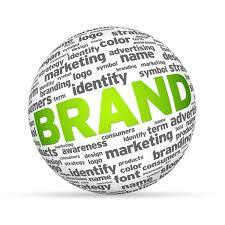 The brand promise communicates the primary human needs satisfied by your brand. It’s an emotional statement intended to humanize the organization. If the brand position consists of the factual information, the brand promise is made up of lofty aspirations, sunshine, and rainbows. To create a brand promise, complete the “we promise…” sentence in a way that does not focus on specific products or the organization itself. Here a few examples to help you get started. The ultimate driving experience (BMW). To inspire moments of optimism and uplift (Coca-Cola). To bring inspiration and innovation to every athlete in the world (Nike). this information — not define it. Instead of asking, “what is a brand?” a better question may be, “who is a brand?” Just as a brand can have a reputation, it can also have a personality. Humanizing your brand by giving it a persona helps to create a relatable and memorable experience for customers, and doing so can aid internal teams in developing the messaging and overall identity. A brand persona typically takes the form of a list of 3 – 5 traits or one of the 12 archetypes. A brand story is a truthful narrative about who your brand is and how it impacts the lives of your customers. It is the culmination of all of your branding efforts; therefore, it should include elements of your position, promise, differentiators, and persona, but the most important characteristic of a brand story is authenticity. It should connect your customers and community to the people behind the brand in a real and engaging way. Your brand story should also serve as the foundation for your brand elevator speech and boilerplate. If you found this information useful, consider subscribing below to receive weekly updates regarding new content. Next week, we’ll discuss the importance of brand strategy and actionable steps to create and/or elevate your own brand. https://solutions.marketing/wp-content/uploads/2018/10/TSG-Web-Header3-01.png 0 0 Whitney Lane https://solutions.marketing/wp-content/uploads/2018/10/TSG-Web-Header3-01.png Whitney Lane2018-06-19 12:05:382018-07-30 09:50:52What is a Brand, Anyway? The smartphone has changed your customers forever. Has it changed your media mix? The way consumers shop, compare and buy has changed dramatically in the past 10 years. And even traditional store-traffic customers will research their purchases online before they buy. The fact is, prospective customers are looking for your product or service on their smartphone. Smartphone usage is growing fast as 64%—up from 35% in 2011—of Americans own smartphones, and 19% are relying to some extent on their smartphone for Internet access and staying connected. According to eMarketer, 66.5 billion US local search queries were done last year via smartphones which surpasses, for the first time, searches conducted by desktop computers at 65.6 billion. More and more are turning to the smartphone to complete an increasing variety of tasks. Such tasks include looking up health information, online banking, looking up real estate listings, obtaining job information, looking up government services, educational research, submitting job applications, and obtaining driving directions. This growing number of smartphone users and the increasing number of reasons for using them are having significant effects on both advertising and marketing. This shift towards increasing smartphone usage means that advertisers and marketers will have to shift their strategies and campaigns in a more mobile-centric direction. For instance, companies without a mobile-friendly website risk losing valuable exposure on Google web search queries because Google has changed its algorithm so that more mobile-friendly websites have priority placement for search queries made on mobile devices. Another important point for marketers and advertisers is the fact that smartphones are not only receivers but also transmitters of information. Smartphones have become huge repositories of information on individual tastes and preferences. This means advertisers and marketers have the ability to be much more specific in their ad and marketing campaigns, and able to offer more relevant messages to different types of groups or individuals. While this means that consumers are now expecting this increased relevance from brand advertising, it also means that consumers expect relevance when and where it is needed. 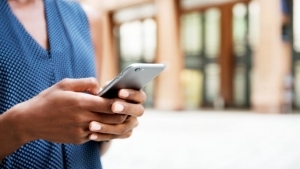 Consumers are increasingly consulting their smartphones to help them make every day decisions. For example, 69% of smartphone users look for travel ideas while waiting in a line or for the subway, and 82% of users turn to their phone when deciding whether or not to buy a specific product while standing in the store. In these moments, speed and relevance of advertisement is of utmost importance for brands to make an impression that will influence the decision-making process of potential consumers. Smartphone usage will continue to grow and understanding how and when consumers are using them is crucial for companies’ ad and marketing campaigns. 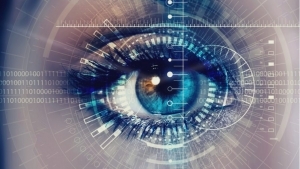 As smartphone data collection and analysis technology becomes more sophisticated, the speed and relevance of ad and marketing campaigns will be significantly more important. If the competing brand can reach consumers with a relevant message at the precise moment when it is needed then they will have made that crucial first impression, and other brands will continually try to play catch up. 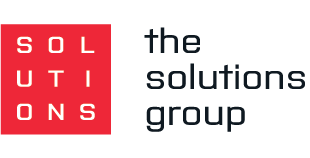 https://solutions.marketing/wp-content/uploads/2018/10/TSG-Web-Header3-01.png 0 0 Anna Long https://solutions.marketing/wp-content/uploads/2018/10/TSG-Web-Header3-01.png Anna Long2018-06-07 11:18:282018-06-07 13:35:06The smartphone has changed your customers forever. Has it changed your media mix?